Calf Riding | Whats Happening? *Check in will be from 8:30 to 10am on Saturday morning, Sept. 20th, NO LATE ENTRIES WILL BE ACCEPTED. I’m sorry but the contestant has to be present at check in time. I know kids have alot of other things going on now days but I have to stick with this rule. We have over 400 kids enter this event so we have to keep a format or it would get out of hand. And the most important thing, kids have to be present for the church service. *Dress code for contestants Long sleeve shirt, jeans, cowboy hat. All Around Champion Cowboy 2013 Keri Futrell. Description: This is an open event anyone 19 & under can enter. There are no entry fees (Jesus Paid Them). 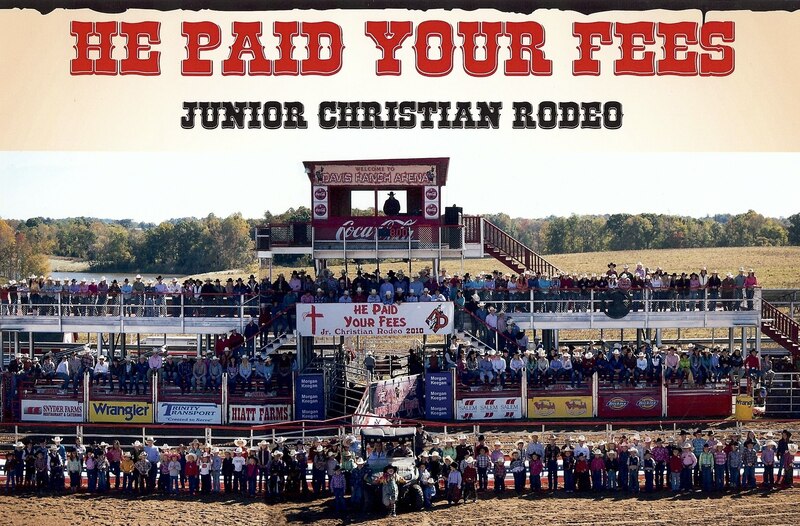 Over 50 buckles given away plus 2 All-Around Saddles, Trophy Bronc Halters, Chaps, Leather Bible Covers, and more! Fun for all ages, FREE moonwalks & Games for kids! Great Music & Church service with Special Guest Speakers!